Policing is undergoing a crisis. Crime rates have swelled due to early-release legislation, budgets are tighter than ever, there’s a lack of ongoing training, recruitment and retention are at all-time lows, and there are accusations of systemic racism and false narratives that portray cops as the “bad guys.” On top of that, each day, it seems officers need to justify their actions and have socially acceptable explanations for incidents involving uses of deadly force, body-worn camera issues and encounters with the mentally ill. These factors have made working in law enforcement more difficult and less defined. With many officers from the baby boomer generation and Generation X retired or nearing retirement, our attention needs to turn to millennials, as they will be next to take the helm and direct the course of the profession into the next generation. After the fatal shooting of Stephon Clark in Sacramento last month, hundreds protested in anger over unwarranted uses of force and the purported racism in law enforcement. Such heated responses to officer-involved shootings are typical, especially in today’s increasingly progressive climate, where people demand police reform targeting the actions of “problem” officers rather than focusing on implementing policy that could improve the profession as a whole. 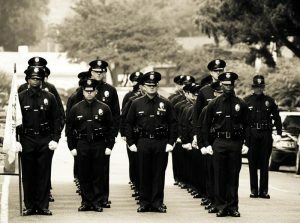 This, coupled with almost daily media scrutiny and the public’s lukewarm trust of law enforcement over the years, places officers in a position where they need to figure out their role in society in an era of “reform” in addition to what their profession and unions will look like in the coming years. How can officers fight crime and protect their communities in a climate that criticizes their every move and is resistant to providing resources (e.g., funding) to correct larger institutional issues affecting policing as a whole? The addition of millennial officers to agencies nationwide provides a welcomed opportunity to effect changes in the system and culture of policing, but agencies first need to attract these desirable candidates, which requires significant changes to the status quo. Many studies have shown that most millennials have high ethical standards, are willing to work hard and are highly trainable — all attributes that make for a career police officer. However, they have a different set of needs than previous generations, and that difference must be addressed in recruitment and retention efforts. For instance, millennials job-hop more than any generation, working two to three jobs in the first five years after graduating college. This means that long, drawn-out hiring processes in law enforcement need to change to keep younger applicants interested in pursuing an officer position. Millennials also like working in jobs that support their personal and professional development through extensive training and mentorship. This means that programs that go beyond mandatory basic training need to be offered, such as courses on leadership or exploring updated protocols that could mitigate officer-involved shootings. In meeting the needs of the next generation, agencies will be forced to confront current policies, practices and procedures, and adapt with the times. Placing more emphasis on technology, mental health and wellness, work schedules, pensions and pay can lead to even more significant operational changes in law enforcement down the line. “Taking care of officers by addressing their needs and supporting them throughout a high-stress, high-demand career will not only improve retention rates but also create officers more willing to fight for culture changes within their individual departments and for departments nationwide,” says LAAPOA President Marshall McClain. This is where police unions play a pivotal role in advocating for the next generation, but they too must meet the needs of younger members. Millennials have the ability to breathe new life into unions, because their concerns may bring focus to issues that older members may not have deemed as important as, say, pension benefits. For example, quality-of-life issues (e.g., more flexible work hours and competitive salaries) top the list for most young officers. Millennials’ desire to question operational procedures in order to find the best and most efficient ways to conduct business can also lead to changes within unions that will enable them to fulfill their mission and serve members more effectively. This is most visible in the way unions now communicate with their membership. With increased internet and social media use across all generations, police associations are breaking away from traditional channels of communication and evolving with the times. Millennials especially are constantly engaged in some form of digital interaction. Whether on Facebook, Instagram or Twitter, they are sharing and digesting information across multiple platforms at all hours of the day. Unions can take advantage of digital communications, utilizing them as tools to keep their members updated on labor news, political advocacy, meetings and events, as well as attracting new members. Companies like strategic communications and marketing firm 911MEDIA specialize in leveraging the print and digital communications of various law enforcement unions and organizations. LAAPOA works with them to ensure our membership is connected at all times across multiple platforms, enabling us to stay informed on the crucial issues affecting us, discuss our shared grievances, brainstorm solutions and more.